This Latin expression translates to English, as the small greats. 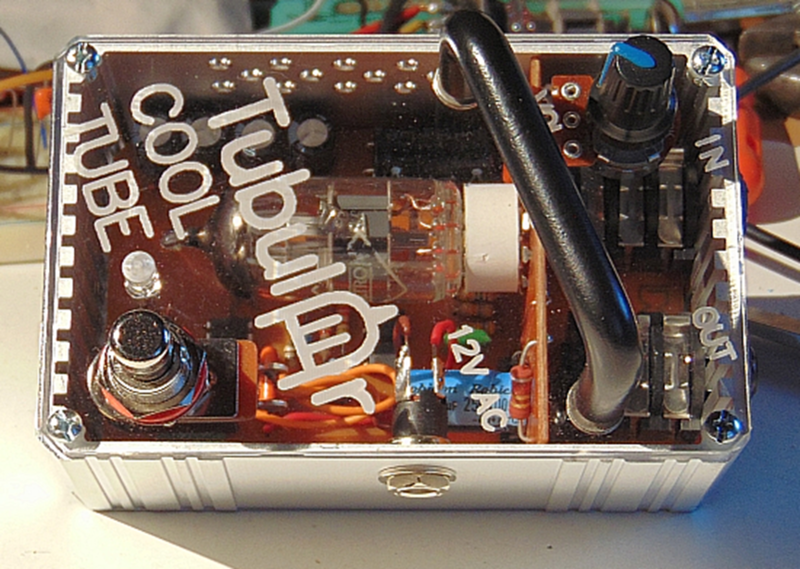 The perfect inspiration to build a small low power amplifier with great tone. This is the first step of a pleasurable journey, of crowdsourcing ideas, visualization of concepts, experimentation of possibilities, design of prototypes and enjoying the final amplifiers. Currently there are a few options in the market, with a wide variety of tubes ranging from the current production ones to the NOS sub mini sorts. In the tiny head shaped tube guitar amplifiers, we have the Zvex Nano, the Wangs VT1-H or the Surprise Sound Lab: Rock Block. 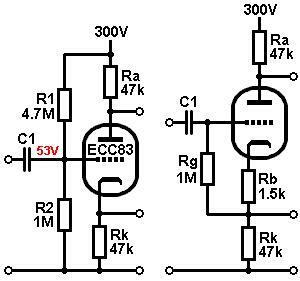 Some years ago, DIY versions came out such as the Frequency Central Superfly amplifiers or the DeXTeR's SFA. As full disclamer I will try to gather as many DIY minds as possible with your help. 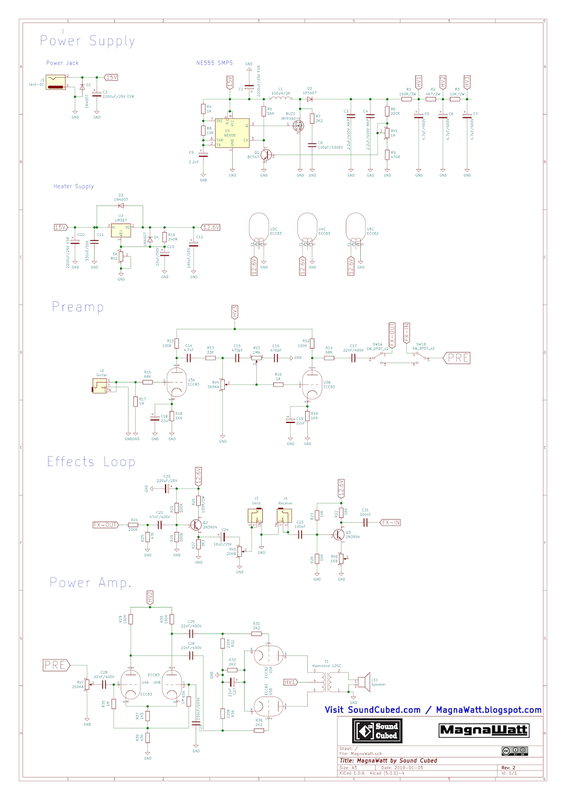 I used KiCAD to create the schematic (http://kicad-pcb.org/). First version of the schematic. 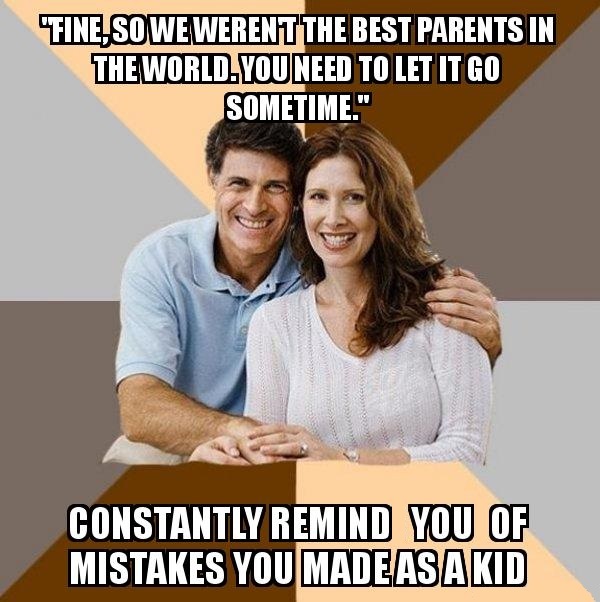 It might have a few errors. Help to check. The value of the cathode resistor is adequate for a 12AU7 but perhaps a little tweaking is needed. This way you have a triode section available for another tasks as dual channel, clean/crunch mode, etc. 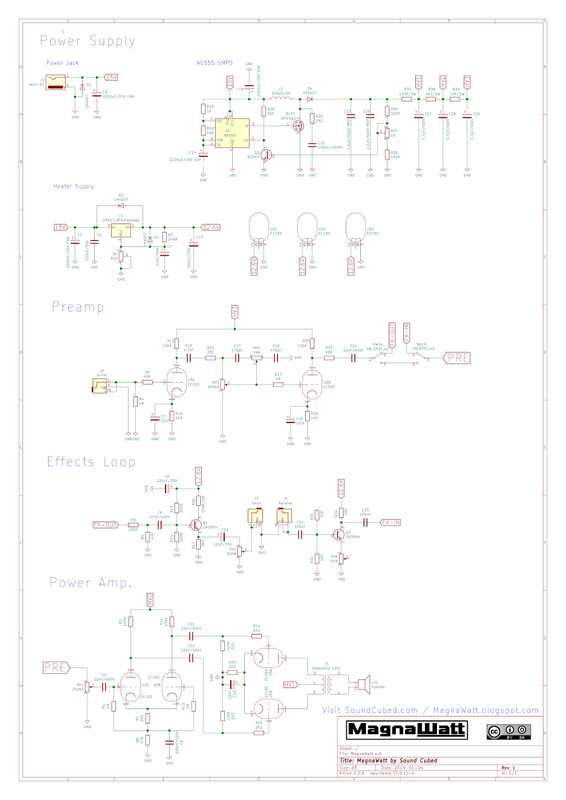 I was working on designing a SMPS based tube amplifier for a couple of years already. I will share my comments. I tried the cathodine but the sound was very dull, lost a tiny bit of volume, somehow loaded the PSU more and the tone was not harmonically rich, even using that extra triode as a boost. I also realized that it sounded amazing with a mosfet boost powered with 15V in front and the LTP phase splitter. I attempted that method, and realized that it was behaving like a single ended amplifer. The PP configuration made a big difference in volume and PSU efficency. Can you please let me know about any spanish speaking foruns? mj_sound_cubed wrote: Can you please let me know about any spanish speaking forums? There is a section here to post in several other languages but the vast majority of information are placed here, at the main body of the forum. Looks from your responses that you have already breadboarded several topologies for PI and output stages and selected what work best for this design. Regarding this revision on the schematic: I see 3 electrolytics (C1, C2, and C10) connected in parallel at the 15V supply line... is this correct ? Yes, those 3 capacitors, stabilized the whole amplifier much more. If you want to go for a reliable design, move away from the idea the tubes should be visible and fully enclose them. Go figure; There's no serious manufacturer of tube based devices that makes stuff with the tubes sticking out in the open. However, there's loads of boohteek DIY-ers who do because they think it looks great. It's a strange thought that the component that is the most vulnerable for mechanical damage is deliberately put in the open. Go figure from there, what's goodlooking about a broken tube when you are about to strike your first chord and your audience is waiting. Dirk_Hendrik wrote: If you want to go for a reliable design, move away from the idea the tubes should be visible and fully enclose them. Go figure; There's no serious manufacturer of tube based devices that makes stuff with the tubes sticking out in the open. However, there's loads of boohteek DIY-ers who do because they think it looks great. It's a strange thought that the component that is the most vulnerable for mechanical damage is deliberately put in the open. Go figure from there, what's goodlooking about a broken tube when you are about to strike your first chord and your audience is waiting. Great advice, but im more visual. Tottaly agree. Day by day, part by part. that's the standard boohteek way of thinking the tubes are protected. Since nobody's going to stomp on it, why not look beyond the die cast stomp box enclosures and use something that already looks like an amp head? 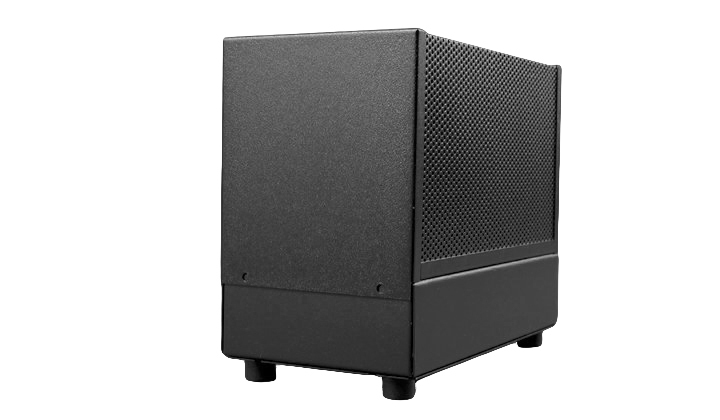 Hammond has some really nice chassis with optional perforated covers. Then you can also have a much more elegant layout of the controls instead of just cramming them wherever is space and you could even put some nicely designed control panels and a logo on there. Not a bad idea, the Lunch Box amplifier look. If it was cheaper I would use it.